Our office is warm and inviting, and we use the very latest technology, including digital x-rays and intraoral cameras. We believe our patients deserve the very best in quality dental service. A standard of excellence in personalized dental care helps us provide comprehensive treatment planning. We can help you achieve optimal oral health with restorative and cosmetic dentistry, and we can take care of any emergency dental situations. As a practice, we believe that preventive care and education are the keys to optimal dental health. We strive to provide preventive dental health care, so we can avoid the treatment of diseases. Therefore, we focus on thorough exams, checking the overall health of your teeth and gums, performing oral cancer exams, and taking x-rays when necessary. We encourage routine professional dental cleanings, sealants, and fluoride treatments for preventing dental disease. Not only are we focused on the beauty of your smile, but we are also concerned about your overall health. A regular review of your medical history can help us stay informed of any new medications and any illnesses that may impact your dental health. Building a foundation of trust by treating our patients as unique individuals is the key to our success. We understand how uneasy some patients can feel about their dental visits, and we know that we can make a difference by providing a relaxing and positive experience. Our entire SKS Dental team offers you excellent, personalized care and service to make your visits as comfortable and pleasant as possible. We appreciate your allowing us to take care of your dental needs, and we look forward to serving you. For a complete and comprehensive evaluation, call our Arlington office today. my schedule as well. I never waited more than five minutes for my appointment and Dr. Sabharwal was kind enough to meet me when I was available. 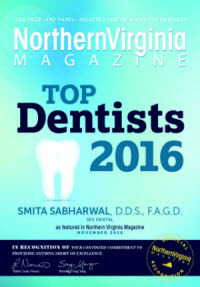 I highly recommend Dr. Sabharwal to anyone who is searching for a professional, competent and warm-hearted dentist. 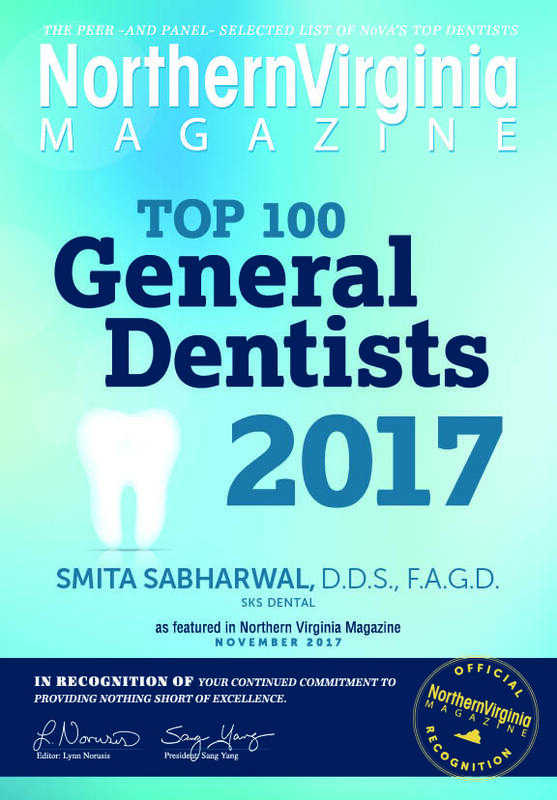 Dr. Sabharwal is a wonderful dentist! I would highly recommend her and have done so to all my friends. Her new office is bright and welcoming. Her staff are friendly and helpful. She is very patient with me - I'm nervous about going to the dentist- and I appreciate how she explains the procedures when I ask for more information. She also sees my kids- ages 4,9 and 77- and they enjoy going to visit her. She has a great manner with children and adults. We are so happy to have found such a great dentist! highest caliber. As a nursing supervisor for surgical services I noted a very clean environment that has been designed for a spa experience in a very private setting. I would urge anyone seeking to establish a future with a professional and caring dentist to find your own way to Dr. Sabharwa/'s chair too! Dr. Sabharwal is the absolute best! She is incredibly knowledgeable, friendly and professional. She and her staff make your appointment enjoyable from start to finish. Hands down.. the best experience I have ever had at the dentist!